We are very lucky people to have spent some quality time with Seth Apter over summer 2016, hosting him to come and teach an event close to PA HQ. If you have ever watched Seth on FB live, or Periscope, you will have a true sense of what a truly genuine and super-nice guy he is. 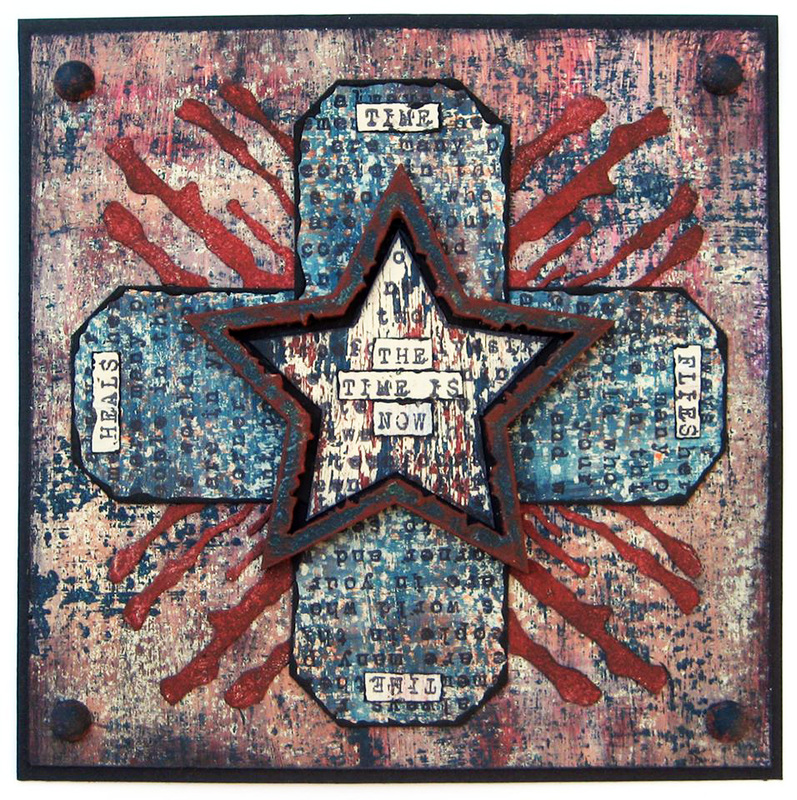 Lucky us then, to be working with him to extend his PaperArtsy range in 2017. Seth is so thoughtful in how he designs. 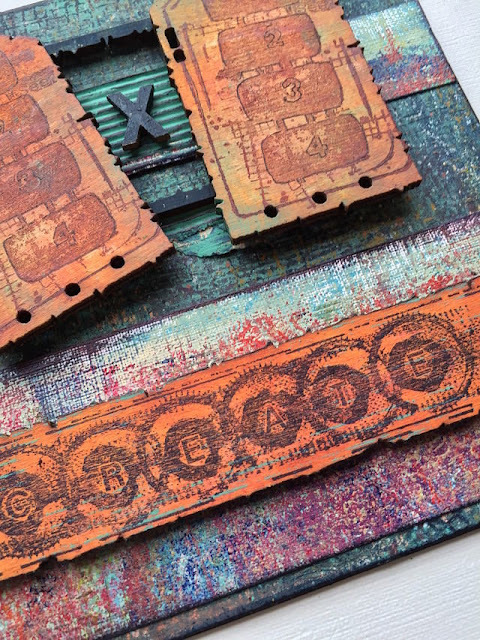 Stamps, stencils and dies all integrate seamlessly. If you get to take a class with Seth you MUST. He is an 'enabler' and you will be amazed at what you create with ease under his charming guidance! Now this time you can clearly see he's up to something new! These shapes might remind you of his Insiders and Outsiders stencil from StencilGirl Products, or maybe it's his dies from Spellbinders? There's a reason for that! But the interest deepens when you see this little beauty! Seth's Wood Chips! 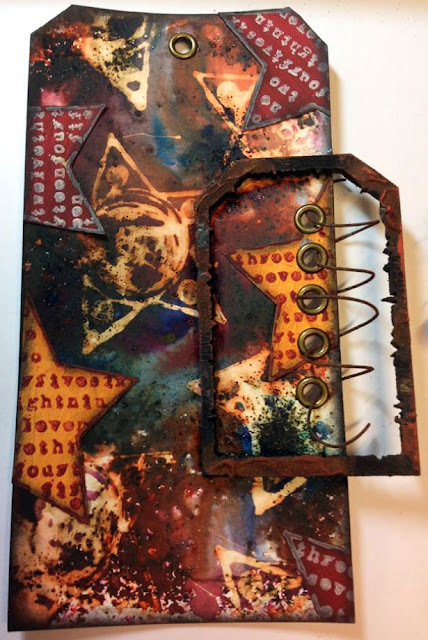 The shapes fit the stamps, so that you can add another level and deliberate focal point to your projects, journal covers or layers of embellishments. But then you also end up with a frame that also provides more fun and opportunity. And we are thrilled to add another Limited Edition paint set. 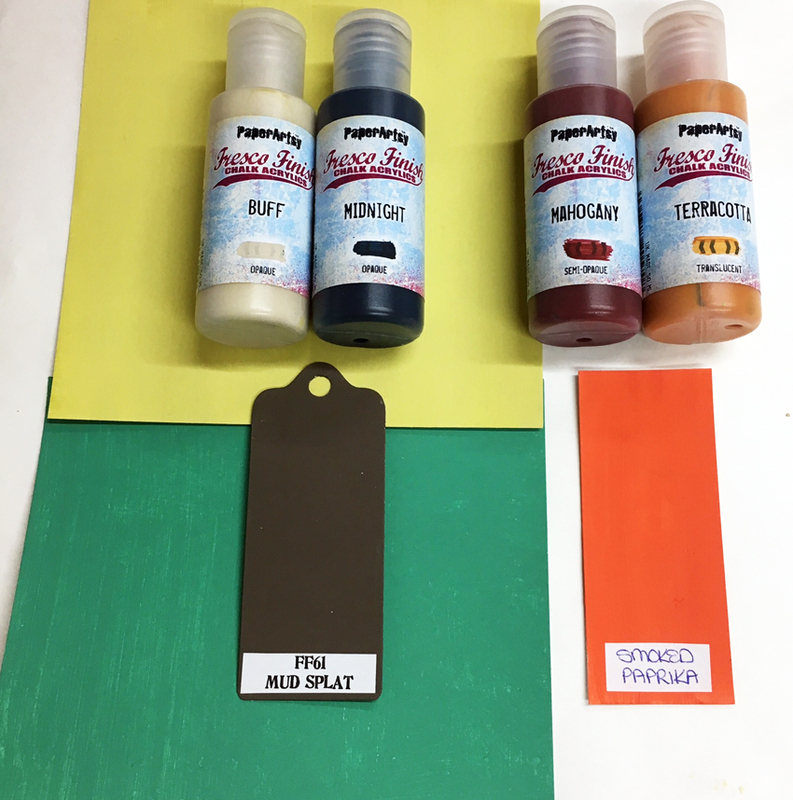 ...which people cannot get enough of, there are interesting primary colours in that set that allow to to create all kinds of magic, so this next addition is designed to partner with those and open up new colour mixing opportunities. We know that Seth loves to start working from a dark background, so Midnight and Mud Splat allow for that. 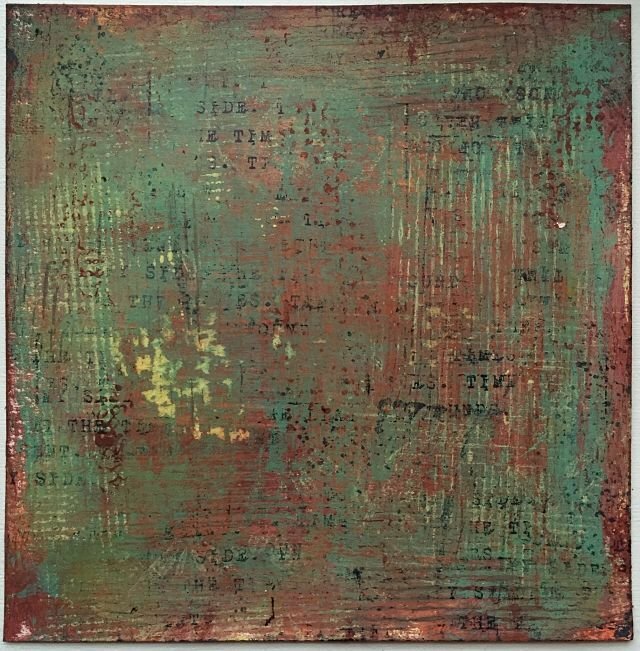 The other shades allow you to make shades of greens, turquoise and of course, rust. You will see from the samples created by Seth and his clever wingmen how perfectly they demonstrate this below. 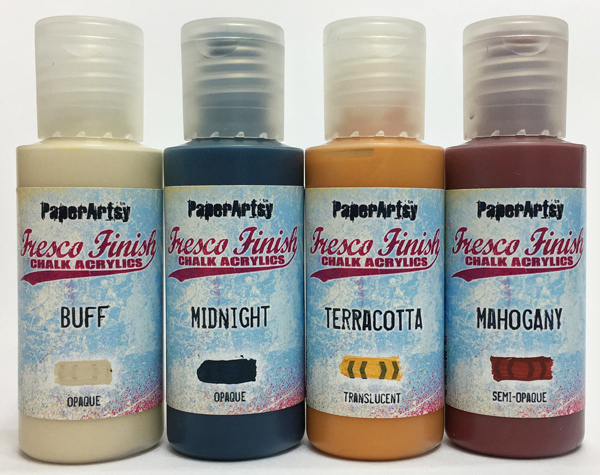 This layout shows how the paints will work so well as a set of 8! The new shades (not bottled in the picture below) are Key Lime and Green Patina. Seth has hand picked his team of wingies, and Hazel and Nikki have been well grounded in the 'school-of-Seth' having met him at our event last summer. 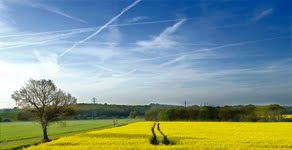 They have created stunning work for you to enjoy, lets take a look! Hi everyone. Seth Apter here. This time of year is always exciting for me as I can finally reveal my new products that I have been keeping secret for months. Today, I am thrilled to share with you my newest releases with PaperArtsy. I have additional paint colors, two new stamp sets, and a completely new product for me called Wood Chips. My favorite part about this release is that all the products have been designed to work together. And to perfectly coordinate with my Insider/Outsider stencil line with StencilGirl Products. And to mix and match with many of my dies from Spellbinders. 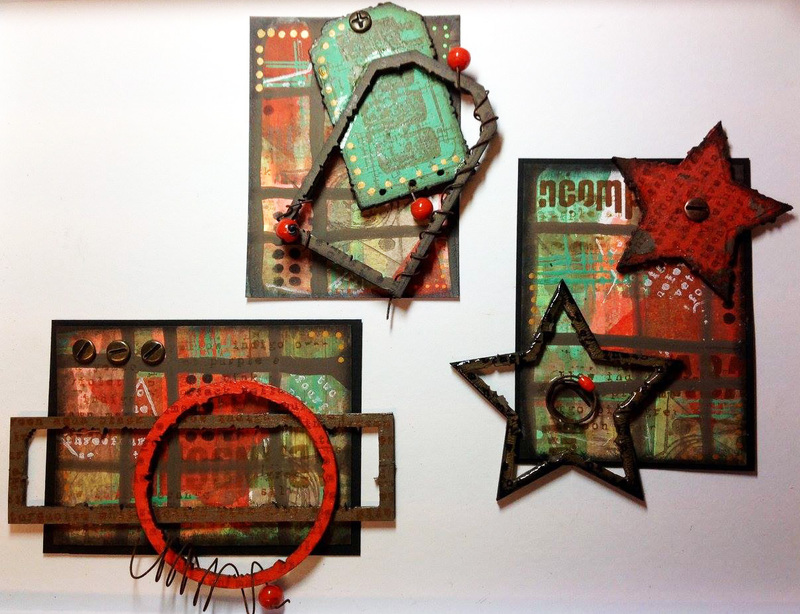 The fact that all these items coordinate means you have the opportunity to create combinations that are unique to you, you can build on products you already may own rather than than starting from scratch, and you can easily create in multiple layers, the hallmark of mixed media. Both new sets of stamps consist of 5, deeply-etched, red rubber cling stamps in the shape of a circle, square, tag, star and bar. ESA03 features grungy design elements and ESA04 highlights text. They are sized perfectly to stamp on my new Wood Chips, which come in the same 5 shapes and have irregular edges to make them more, well - edgy. Not only do you get the shapes, you also get a frame in every shape as well as the full wooden template which can work as a stencil. These dimensional wooden embellishments will immediately add depth and dimension to your work. Tonight I asked Hazel Agnew and Nikki Acton to join me in making samples with my new products. Please head over to their blogs where you can find more details about their artwork and the techniques that they used to create them. While you are there, pop around their blogs to see all their other creative work as well. 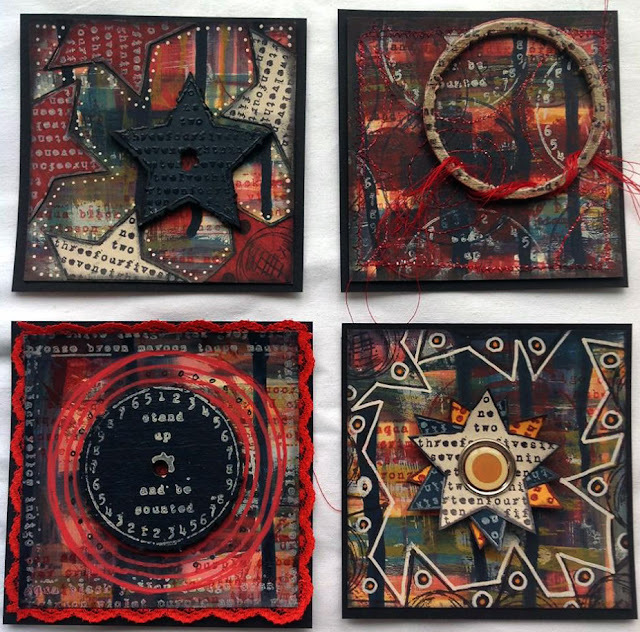 Let's start with Hazel Agnew, who you might know as craftroomgran. Hazel and I first connected online but had the opportunity to meet in person this past year when she attended my PaperArtsy workshop in the UK. I love Hazel's style, which is highly layered, and her colors choices, which range from vintage grunge to bold and vibrant. I thought she would be the perfect person to work with all the layering possibility that my new release offers. And as you can see from her work below, she did exactly that. Hazel says: The star stamps were one of my favourite shapes. Interlocking, layering, overlapping, sliced up and rearranged. My mind is buzzing with possibilities. Hazel: I think that these four, which emerged from a master board, demonstrate the versatility of these stamps. They inspired me to use texture, tessellation, doodling, thread and lace. The addition of the wooden Wood Chips, extend the possibilities to infinity and beyond! Hazel: I got so excited creating these 3 that I still want to squeal! I found that the placements of the Wood Chips shapes in relation to one another was an interesting exercise by itself. You can create tension, movement, just fabulous fun! I would like to develop this theme by tying various threads, tassels etc from the wooden shapes and maybe cutting into them with a hacksaw and linking them. 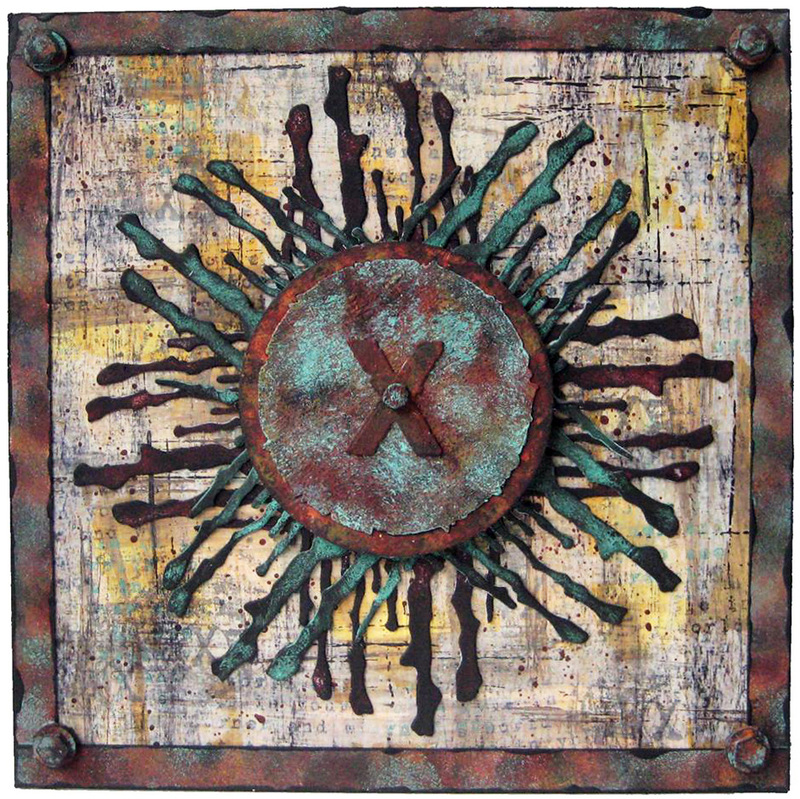 Rust, bleach, infusions, hessian, crackle, all suit these stamps and shapes so well. I want to extend these ideas by adding some images. The Wood Chips will work as excellent frames. Just needed to squeeze in a humungous THANKYOU, to Seth Apter for giving me the opportunity to help to launch his wonderful stamps, Wood Chips and paints. Next up is Nikki Acton, whom I also had a chance to meet this past year at my PaperArtsy workshop in the UK. I have admired her work online for quite some time and knew that she would be a good fit for my new releases. 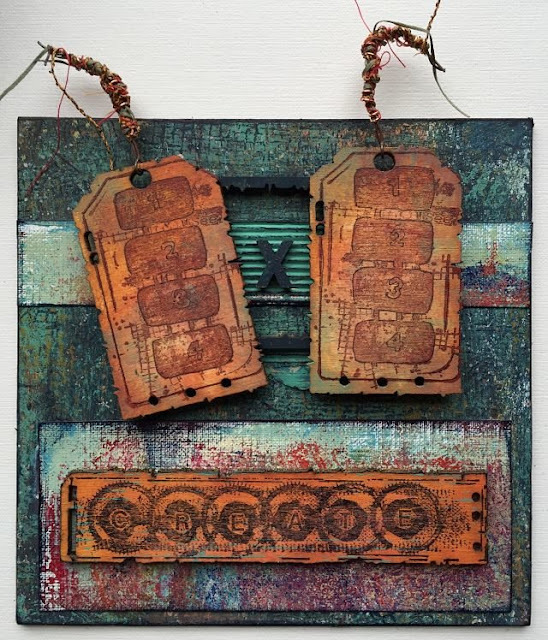 She loves texture and layering and has a very strong sense of composition. I was excited to see how she would use these products and thrilled when I saw the outcome below. 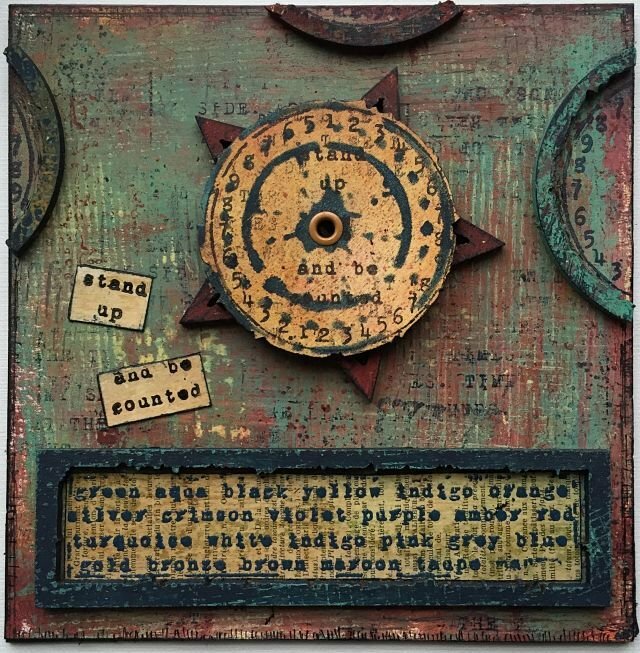 Nikki says: I just love how the Wood Chips, stamps and Seth’s dies all work so seamlessly together. This project uses stamps from both new sets to create the grungy backdrop for the wood chip focal point which I have given a metallic look using Seth’s special edition paints. Nikki: When I first saw the new stamps I was excited by the geometric shapes and how they could be used both individually and together. The text elements in this set can also be cut out to create focal words or phrases. I look forward to using this stamp set on larger projects in the future - canvases and journal pages – where I can combine more elements and introduce space between them (think Wassily Kandinsky!). Nikki: With the original and new collection of Seth’s paints there is a broad palette of colours that can be used alone or mixed. The ‘Create’ stamp on ESA03 is really versatile – here I have used it whole but have also punched out the individual letters to form other shapes with the letters. Have I mentioned how much I love the paint range! I just had to have a play with different paint effects on some ATC’s and combined them with the wonderful script on this stamp set – so versatile, so useful! Seth back here with you again. Didn't Hazel and Nikki create amazing samples! So now I get a chance to share with you what I've made with my new collection. Using all my new stamps, Wood Chips and Special Fresco Paints for the first time made me feel like a kid in a toy store. I began to play, with my only focus being layering. And layering. And layering. The first piece I made I call Be Counted and I am so pleased that all the components worked as well together as I envisioned when they were designed. Happily I took some pictures along the way and can share some step-outs showing how I made this piece. Step One: I started with a 6x6 inch piece of watercolor paper and used both my Fresco Finish Chalk Acrylic sets. 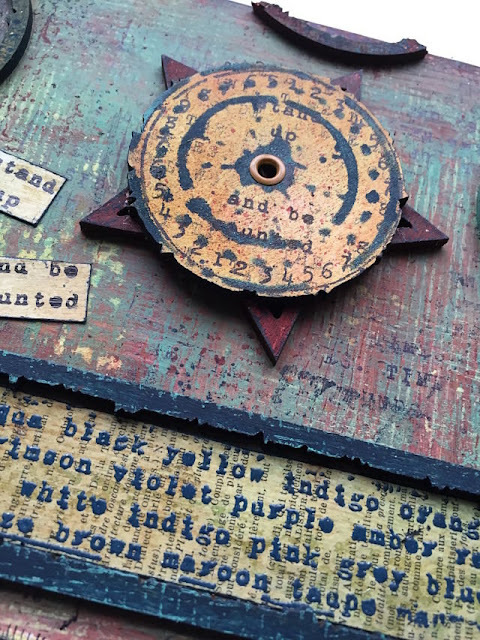 The colors included were Midnight, Terracotta and Mahogany from my original set, as well as Green Patina, Smoked Paprika, Mud Splat and Key Lime from my new release. After painting, I randomly stamped my square stamp from ESA04 on the surface using an ink pad. Step Two: I decided to create individual, dimensional elements by combining multiple products together. My first step was to create a focal label to place at the bottom of the piece as a ground. I painted a vintage dictionary page using Key Lime and chose my bar stamp from set ESA04 which is a list of color words. I decided to emboss the bar stamp using embossing ink and powder. To further highlight this, I painted the bar frame from my Wood Chips with Midnight as a base and Green Patina as an accent. With that, the pieces of my first dimensional element were complete. Step Three: Moved on to create a second dimensional element using my stamps, my Wood Chips and a stencil from StencilGirl. 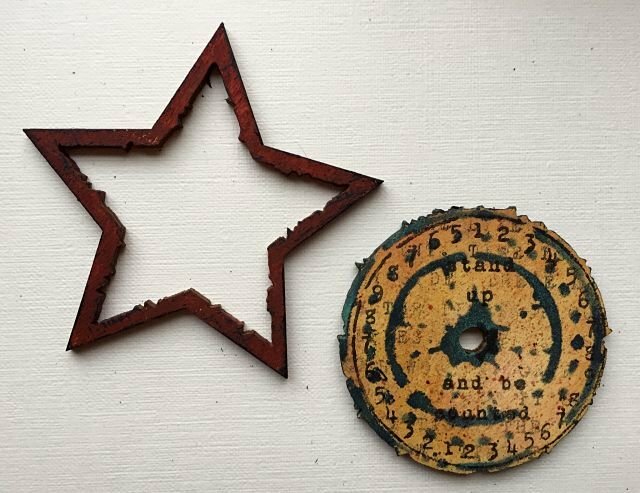 I started with the Wood Chips star frame and painted it with Mahogany and accents of Midnight and Terracotta. I planned to use that as a base. On top of this I planned to add a circle Wood Chip, which was heavily layered. I started with Fresco Finish paint (Key Lime, Terracotta, Smoked Paprika and Mud Splat). Once this was dry, I used an ink pad to stamp the text from my square stamp from set ESA04. 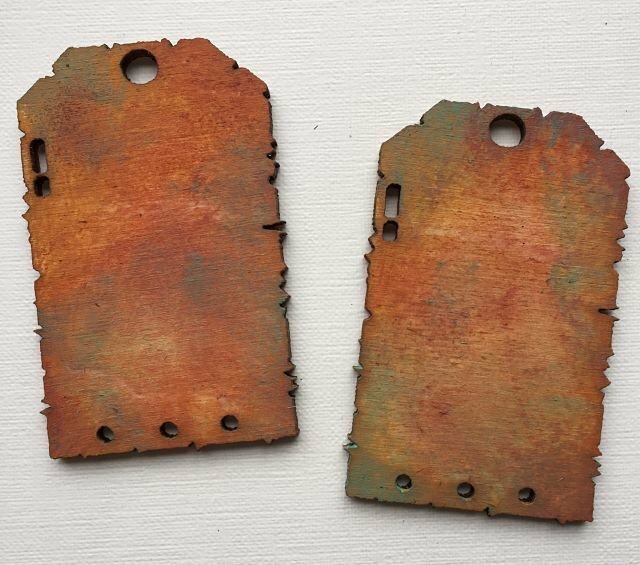 I then stenciled over this layer using my Urban Circle stencil from StencilGirl and both Midnight and Green Patina paint. 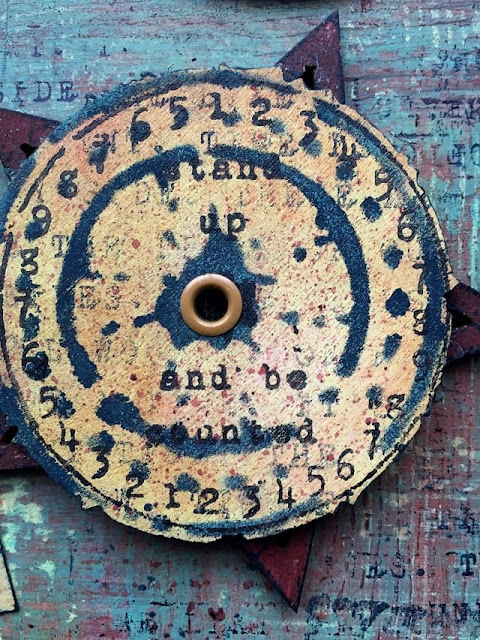 I next used the circle stamp from set ESA04 which includes a ring of numbers and the saying stand up and be counted on the inside. The final touch was a splatter of Mahogany paint. With that, the components for the second element was done. Step Four: I love taking commercial products (even those I design myself) and putting my own spin on them. So for my third dimensional element, I decided to take the Wood Chips circle frame and cut it into three pieces. This was easily done with a pair of scissors. The three pieces were then painted a variety of colors using my Fresco Finish paints. Step Five: I glued all the individual elements together and onto the painted watercolor paper, I added some extra stamping and hand made marks from a gel pen for more depth. Because the phrase 'stand up and be counted' got a bit lost in all the layers, I decided to restamp the sentiment onto paper and adhere them to the artwork. An eyelet, perfectly sized for the center hole in the Wood Chips circle was the finishing touch. 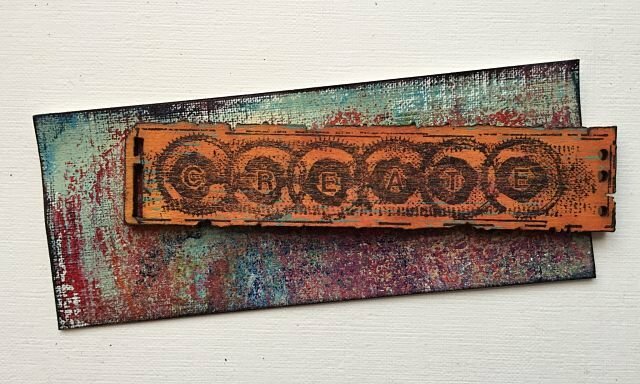 Using my other new stamp set 03 along with the Wood Chips, I've also made a second piece called Create. Step One: This piece started out on a 6x6 inch sheet of watercolor paper. 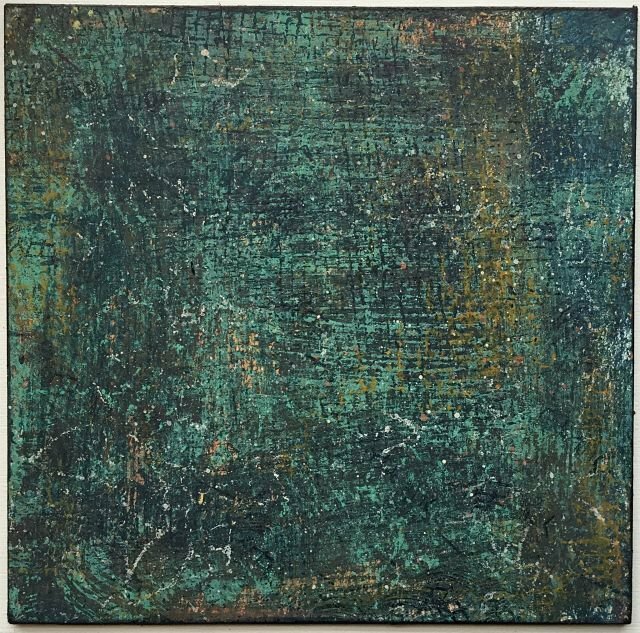 The surface was layered with Fresco Finish Chalk Acrylics from both of my releases (Midnight, Green Patina, Terracotta, Buff and Smoked Paprika). To add a bit of extra design, I randomly stamped the surface using my circle stamp from stamp set ESA03 and an ink pad. Step Two: I next created a focal embellishment using the Wood Chip bar and the coordinating bar stamp from EAS03. I painted the Wood Chip with layers of Terracotta, and Smoked Paprika and a touch of Green Patina. I stamped the word Create on the surface and outlined the edges of the Wood Chip with a dark ink pad. I paired this with a piece of painted paper from my scrap heap to add more layers. 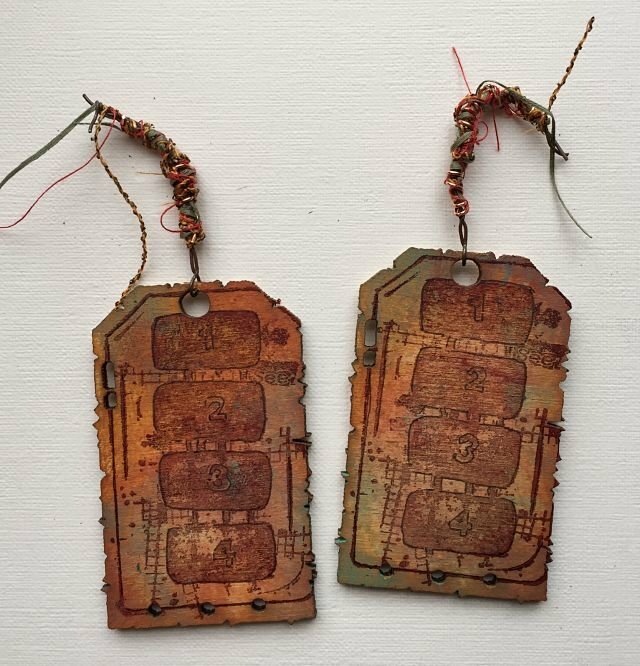 Step Three: For my next focal element I chose 2 Wood Chip tags, keeping with the square, architectural feel of the piece. I painted both with layers of Terracotta, Mahogany, Smoked Paprika and Green Patina. Step Four: Using the coordinating tag stamp from ESA03, I stamped the surface of both Wood Chip tags with an ink pad. I loosely highlighted the outline of some of the stamped sections with a fine point, black marker. Using twisted wire and a selection of threads, I created a loop to attach to the hole at the center top of each tag. Step Five: Wanting to attach the tags to the artwork in a very dimensional and architectural way, I created a scaffolding base. 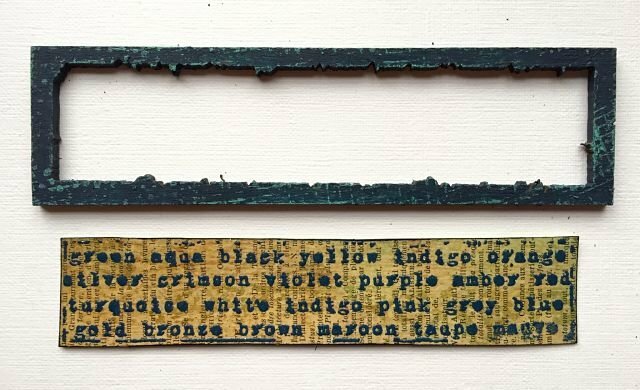 This consisted of a number of pieces of painted paper from my stash, a wooden letter X painted in Midnight and the tag frame from the Wood Chip set, also painted in Midnight. Thank you all so very much for taking the time to read this post. I am excited about the possibilities that these new releases hold and look forward to seeing and sharing the projects that you all make with them. A big thank you to Nikki and Hazel for sharing their creativity and for making my products look so good. Go to Nikki's blog post here, and Hazel's here for more information about the samples shown above. And of course a shout out to Mark and Leandra, the brains behind PaperArtsy. Working with you both has been nothing short of brilliant and I thank you both for the opportunity. That has certainly set my head spinning with the possibilities. I am always drawn to abstract, layered art, so a collection like this with so many possibilities ticks a lot of boxes for me personally. 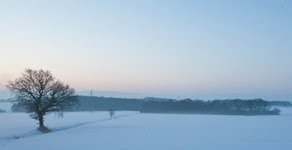 I really hope you'll give the 'Seth-style' of creating a go this year and join in the fun! Cannot wait to see what you make too! All tonight's wing-men have detailed step out's explaining how they made their samples on their own blogs tonight, so do drop by and take a look at the finer details by following these direct links to each blog: Nikki Acton here, Hazel Agnew here, Seth Apter here. Thanks for joining us tonight, and a massive congratulations to Seth on such a fun release! Wow, wow, wow, I love everything, including the stuning samples. Congrats to Seth, Hazel & Nikki. Fab samples, feeling very creative now!! 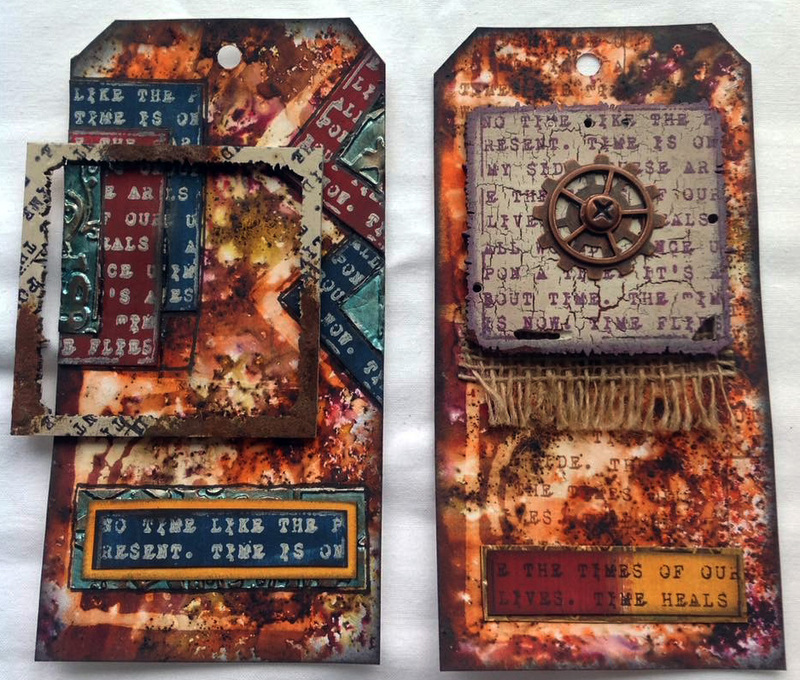 I love the idea of the complementary products, so much easier to make Mixed Media pieces for the faint hearted! 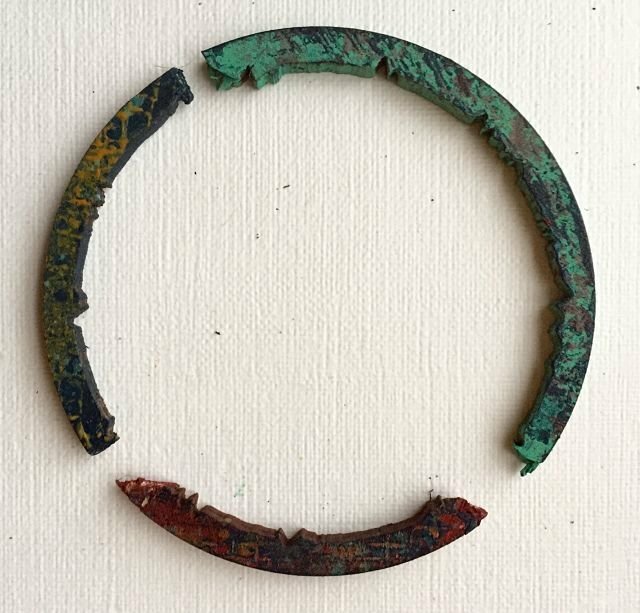 The Verdigris and rust "paints" are just my thing too... Excellent artwork from Seth and his acolytes. What an amazing new release Seth, I love everything and can't wait to get my hands on them......congratulations! Well done too for choosing Hazel and Nikki as your wingmen, their samples are fantastic! 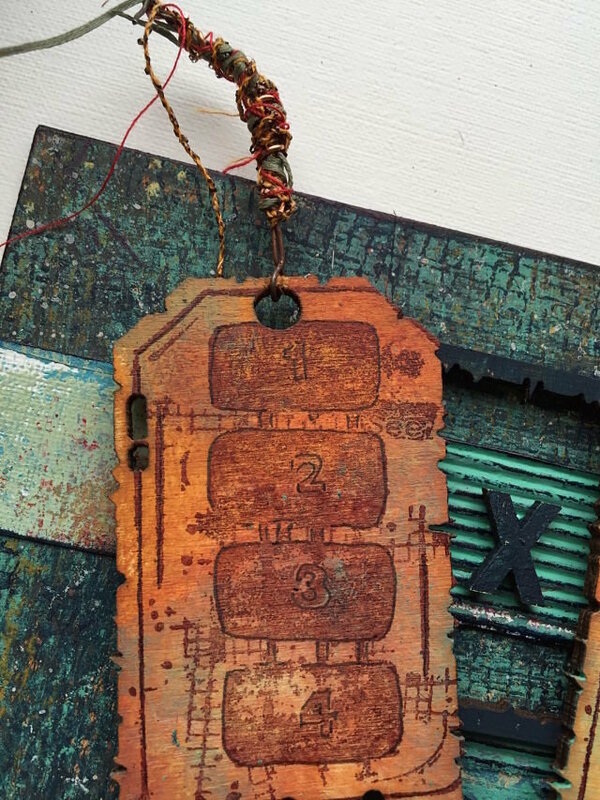 Stunning samples all round - Hazel and Nikki have done outstanding work for you, Seth - and the paints, stamps, stencils and woodcuts all look like such fun to play with! Oh my, my heart is going pitapat. I am smiling ear to ear with this wonderful release. Thanks so much for all the inspiration. What fabulous samples to show off these brilliant new products!